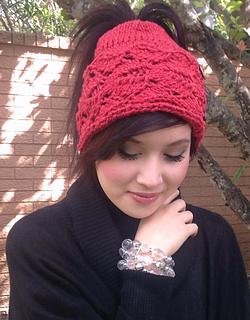 A perfect last-minute gift, this hat is a great season-spanner that is quick to knit using a chunky merino/cotton blend yarn. It’s ideal for putting on before an outdoor run, with the top of the hat allowing your ponytail or updo to show through, while keeping your ears comfortable. 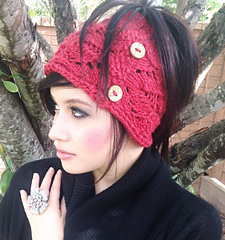 You can also wear it as an elegant fall accessory that keeps you warm without completely flattening your hair. The butterfly cable is suitable for intermediate knitters, with no cable needle required.